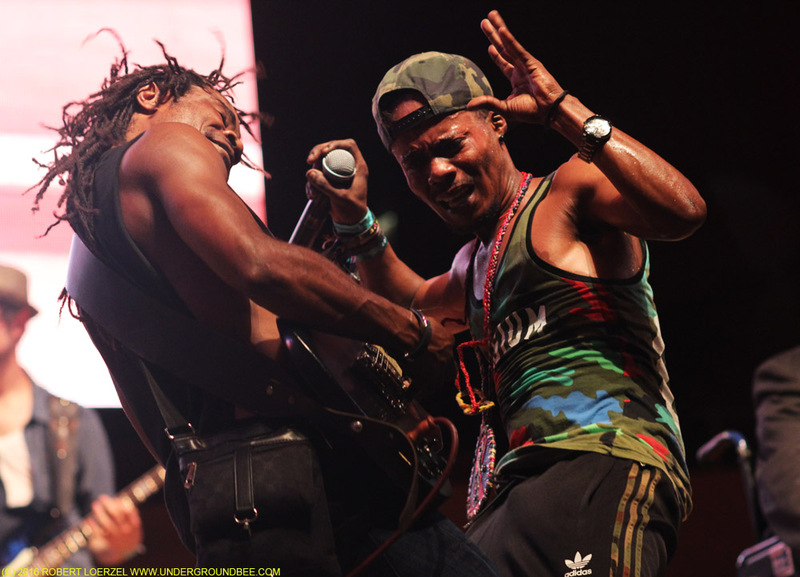 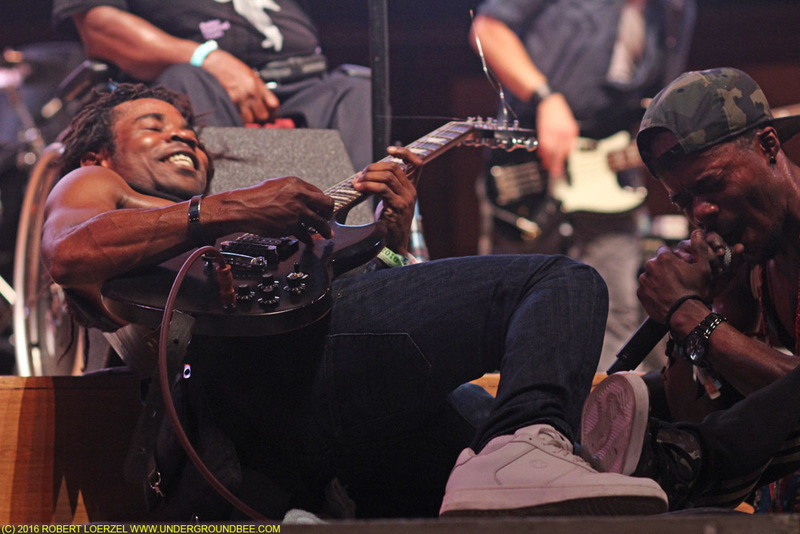 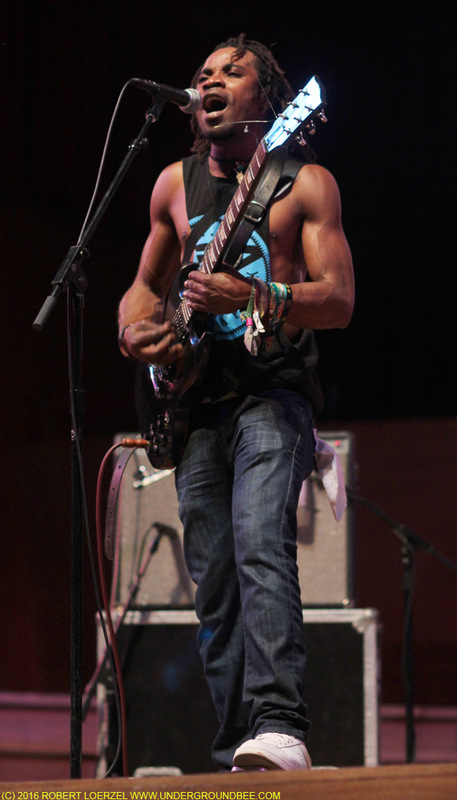 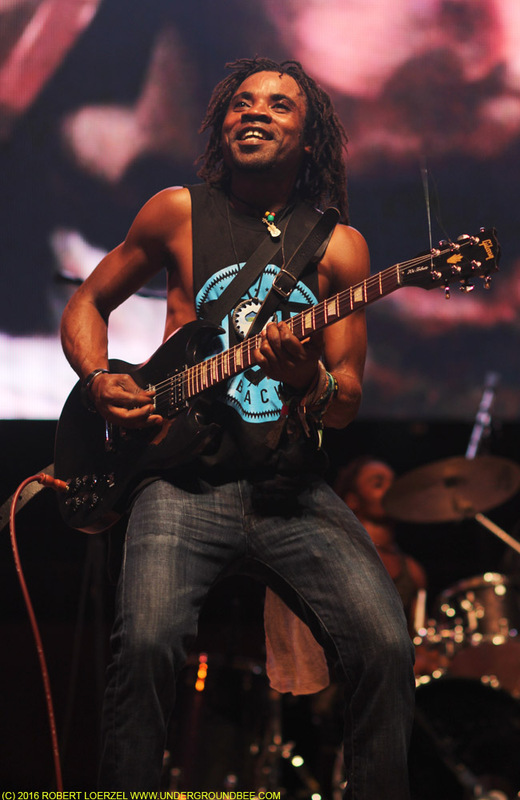 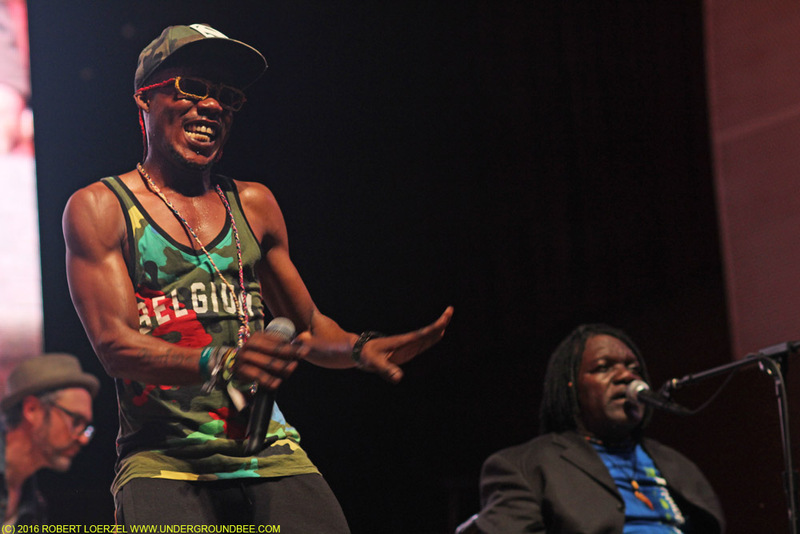 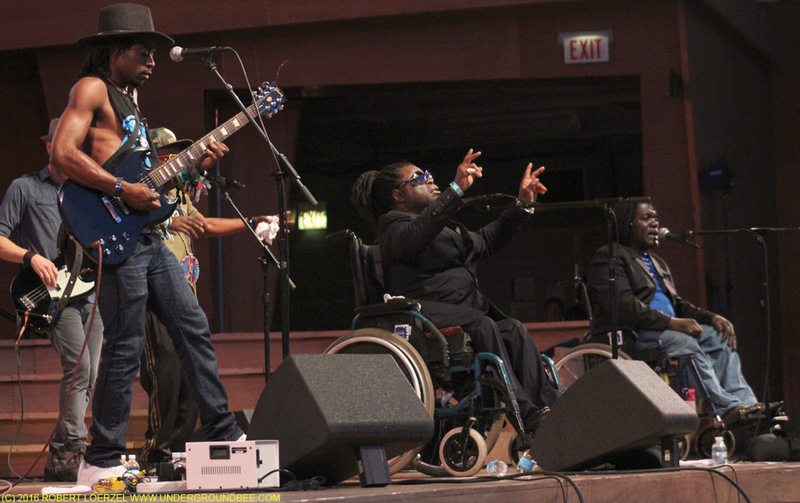 The African band Mbongwana Star got the audience dancing on Aug. 11 at Millennium Park’s Jay Pritzker Pavilion, playing wildly infectious beats and beguiling, highly rhythmic guitar riffs and solos. 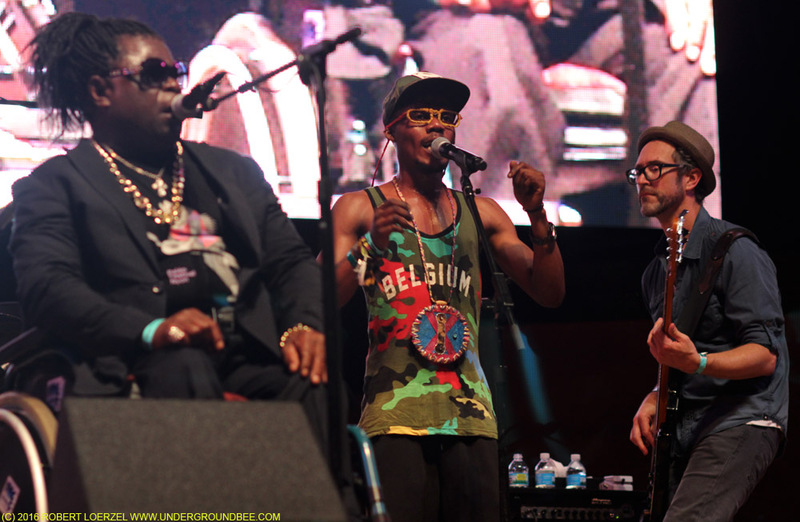 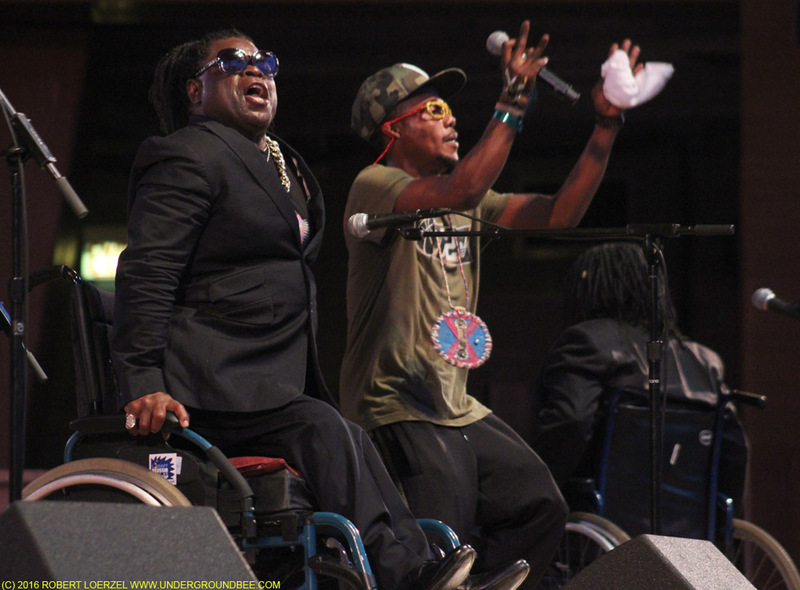 This group from the Democratic Republic of the Congo includes two singers (Yakala “Coco” Ngambali and Nsituvuidi “Theo” Nzonza,) who were also founding members of the band Staff Benda Bilili (that name means “look beyond appearances”) — paraplegic musicians from the streets of Kinshasa. 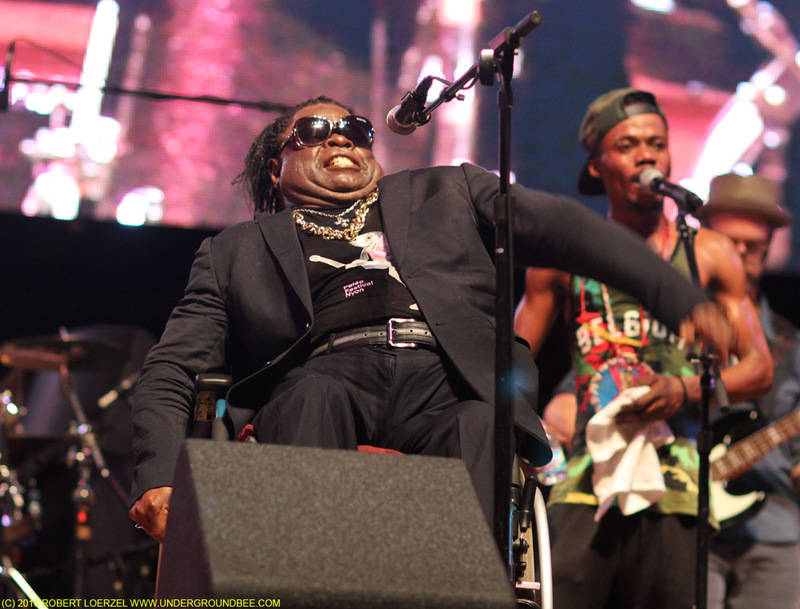 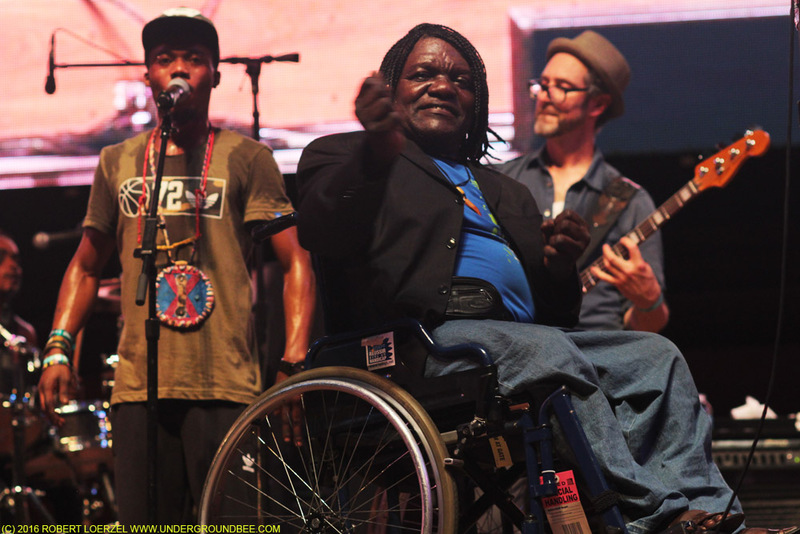 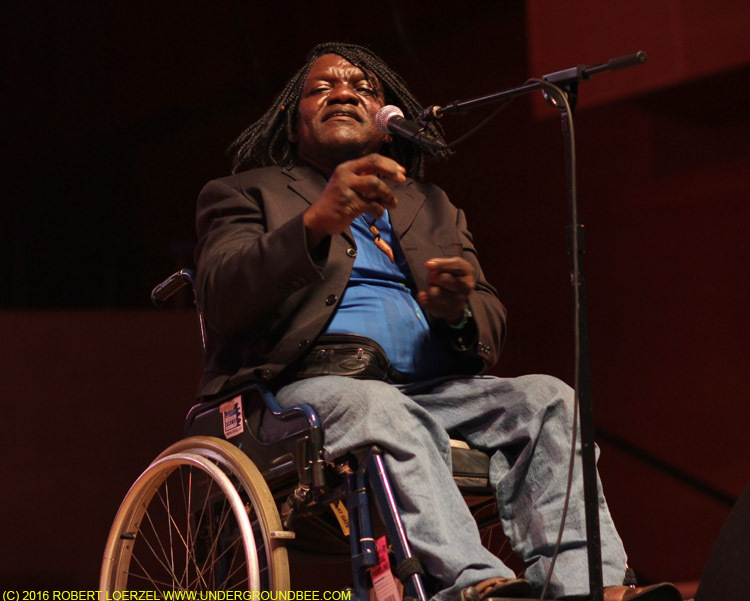 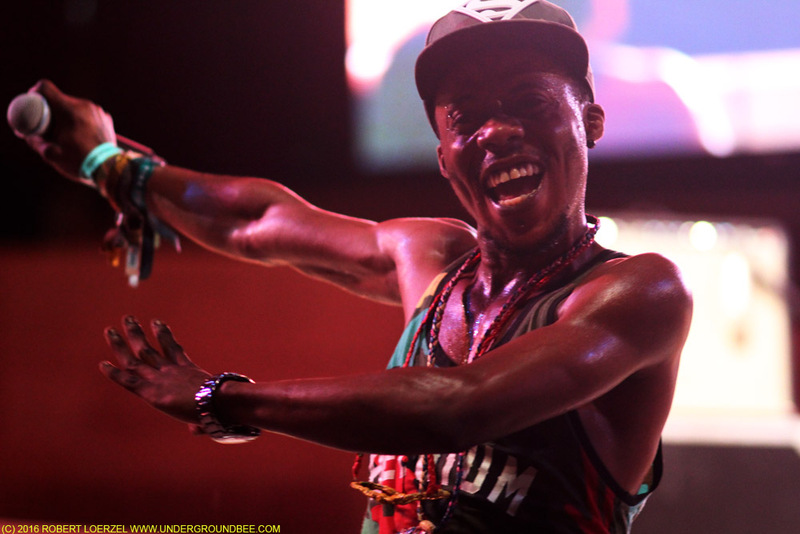 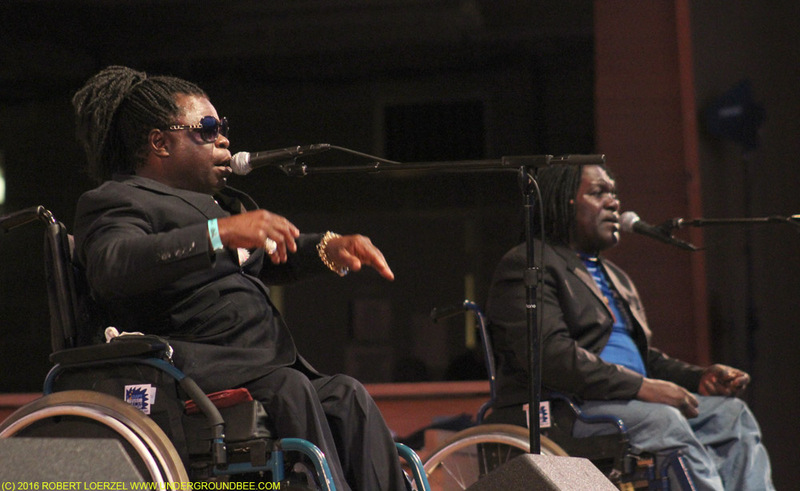 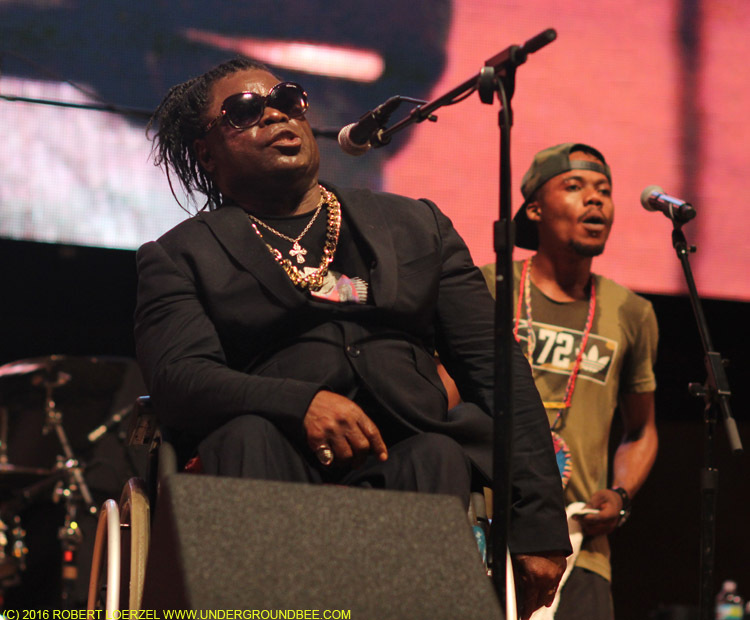 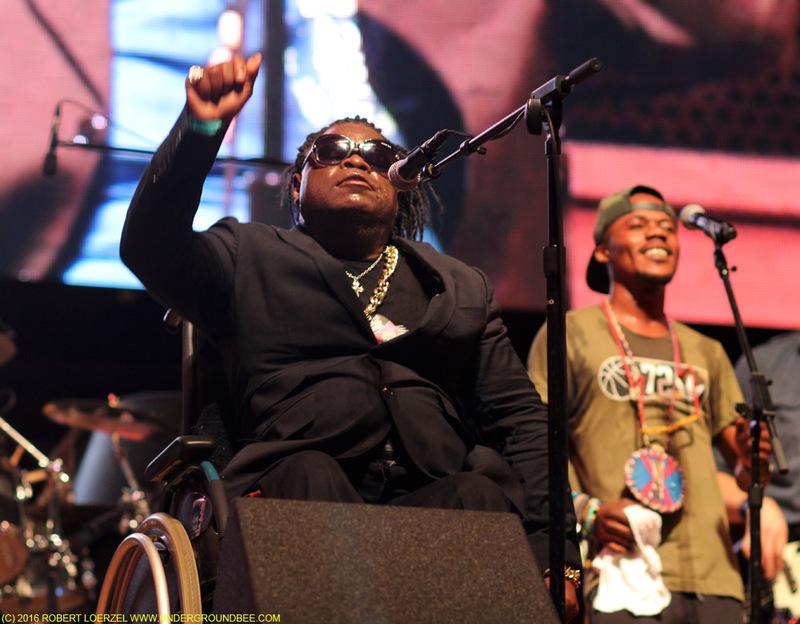 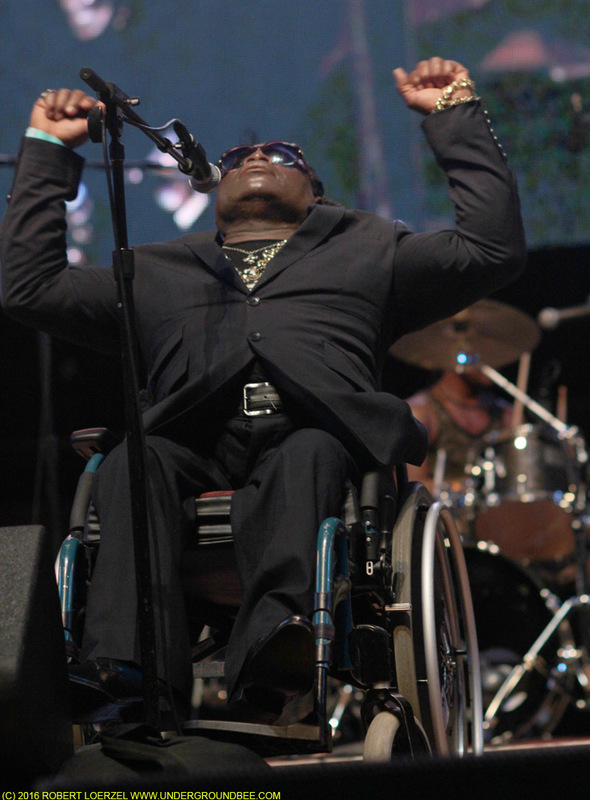 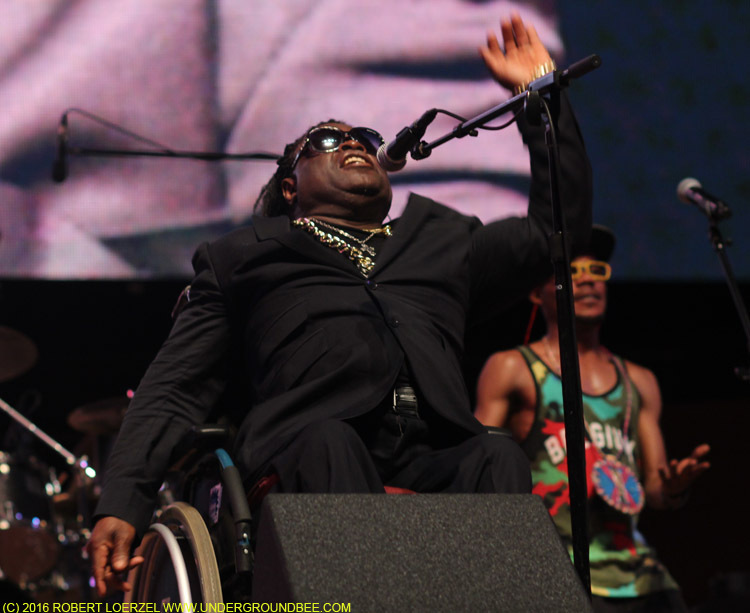 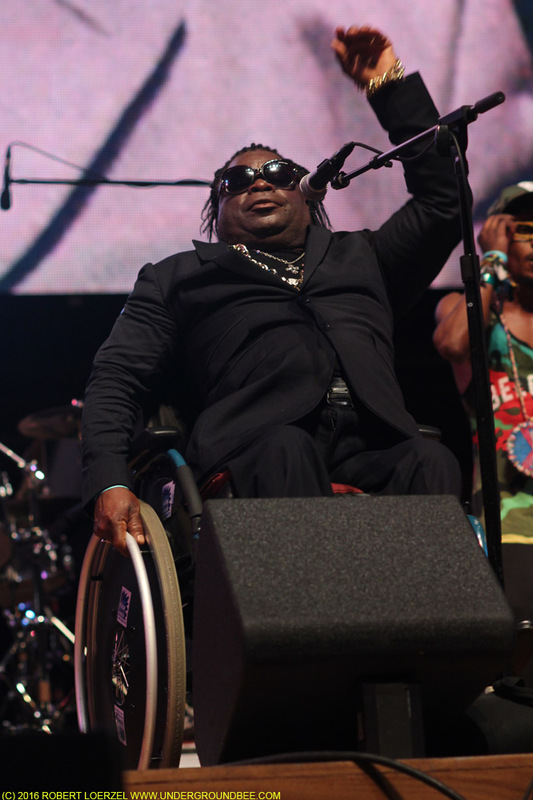 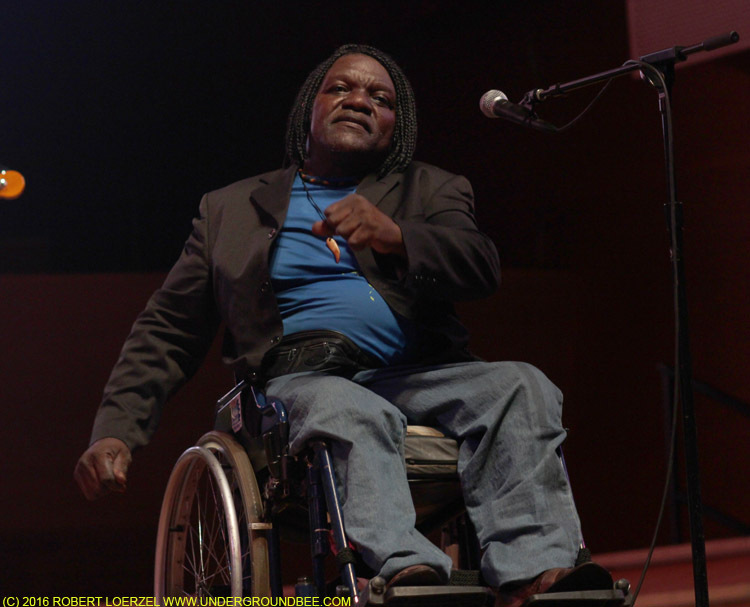 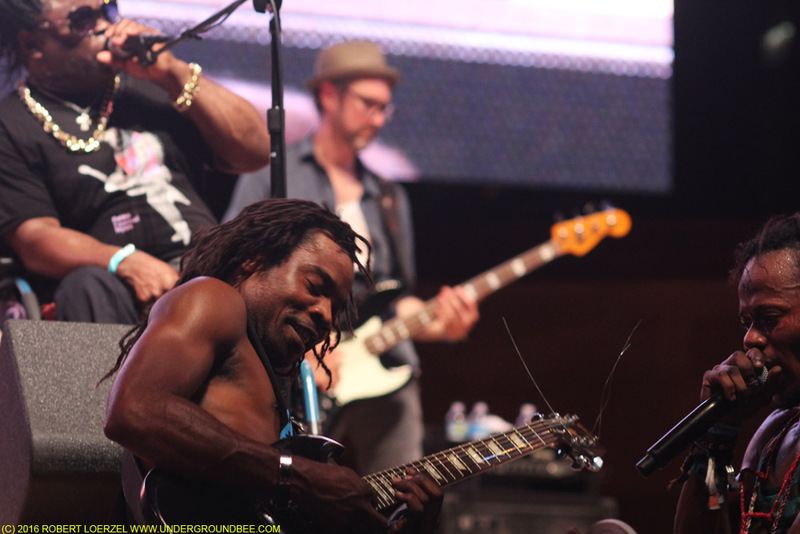 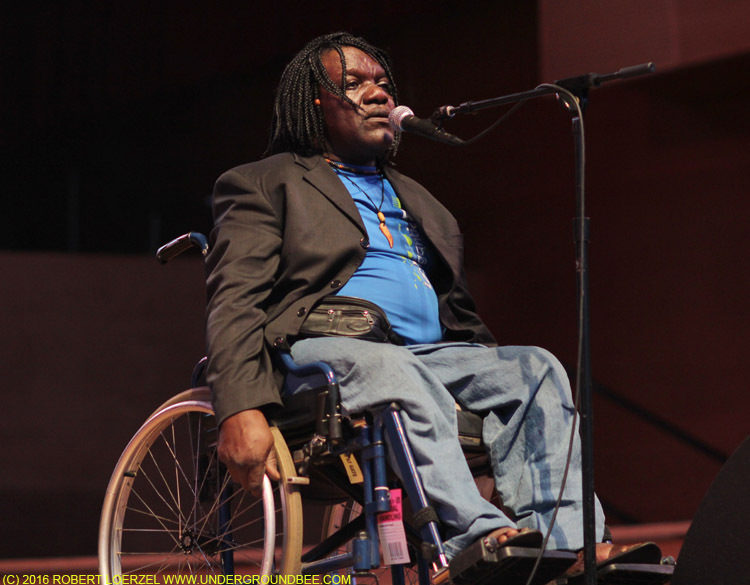 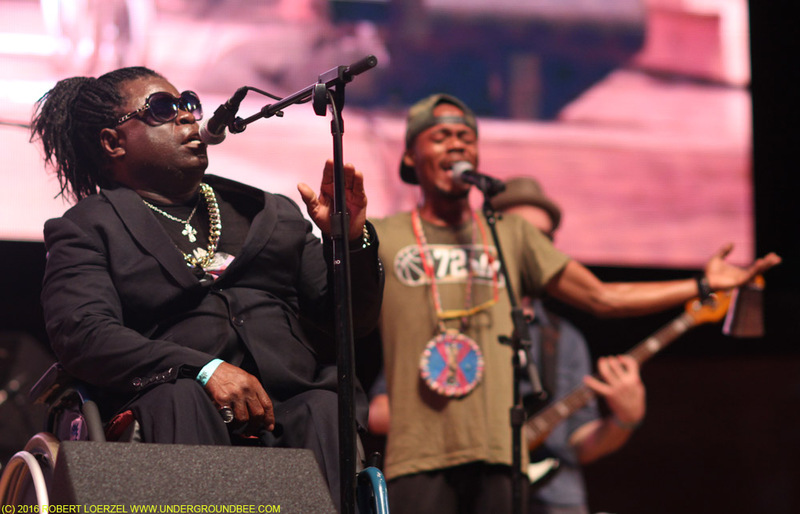 Last week on the stage at Millennium Park, Ngambali and Nzonza spun around in their wheelchairs, with Nzonza especially exuberant and demonstrative, frequently lifting his arms up with an air of triumph. 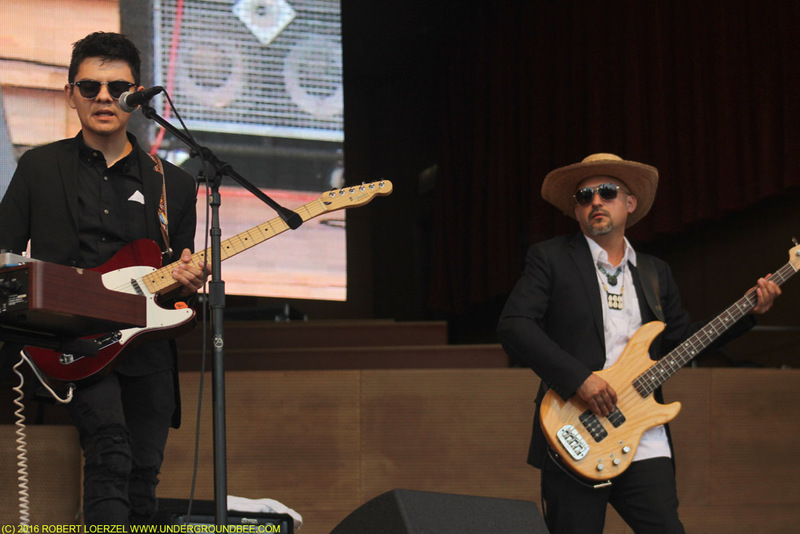 The show began with a fine performance by the Chicago-based group Dos Santos Anti-Beat Orquesta, which mixed some psychedelic and Krautrock touches into its Latin rock.